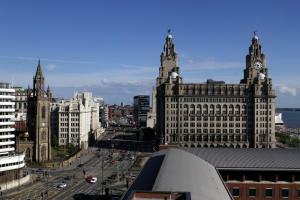 The Reach Apartment offers accommodation in Liverpool, 700 metres from Royal Court Theatre and 1.1 km from Pier Head. Providing free private parking, .. Located in Liverpool, the modern Liver View Apartment offers self-catering accommodation with free WiFi and free onsite parking. The property is 400 m.. 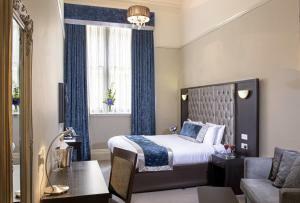 The Richmond Apart-Hotel, now part of the Best Western Premier Collection, is set in the heart of the city centre, in an iconic Grade II-listed buildi..
Daytripper Apartment is a self-catering accommodation located in the city centre of Liverpool. FreeWiFi access is available. 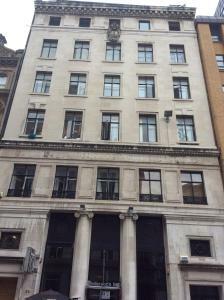 The property is 400 metre.. Ideally located to access the tourist sights of Liverpool, Everton Hostel offers accommodation close to the city centre and transport links. Free WiFi.. Situated in a former prison and Grade II listed building in Liverpool's business district, Bridewell Prison Hotel offers self-catering accommodation w..
ibis Styles Liverpool Centre Dale St is set within 10 minutes’ walk of Liverpool’s Moorfields and Lime Street stations. This boutique style hotel .. 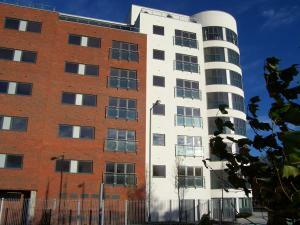 Located in Liverpool, Apple Apartments Liverpool is 400 metres from Royal Court Theatre. Pier Head is 500 metres from the property. Free WiFi is featu..
Offering an indoor pool and on-site restaurant, DoubleTree by Hilton Hotel & Spa Liverpool is located close to the centre of Liverpool. Free WiFi acce.. 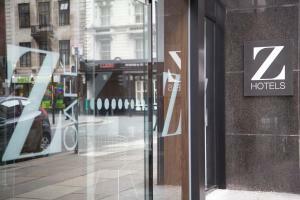 In the city centre and within a 10-minute walk of Liverpool ONE Shopping Centre and the port, The Z Hotel Liverpool offers compact and luxury accommod.. Featuring free WiFi and an outdoor pool, The Shankly Hotel offers accommodation in Liverpool, 100 metres from Royal Court Theatre. Guests can enjoy th.. 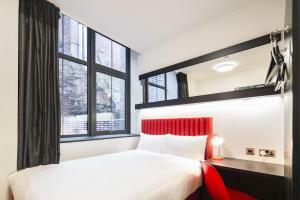 Tune Hotel Liverpool offers accommodation in Liverpool. Liverpool Central and Liverpool Lime Street train stations are both within a 15-minute walk fr..
Set in Liverpool, Signature Living at Shankly Hotel is 100 metres from Royal Court Theatre. 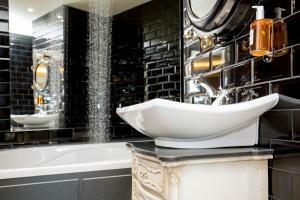 The accommodation boasts a spa bath. Liverpool ONE is 800 .. 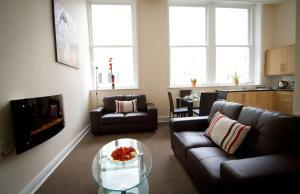 Featuring free WiFi, Union Bank Apartments offers accommodation in Liverpool. Pier Head is 200 metres away. All units have a seating area. There is a..
Euro Hostel Liverpool is located on the corner of Stanley Street and Mathew Street, an area made famous by The Beatles. WiFi is available throughout t..